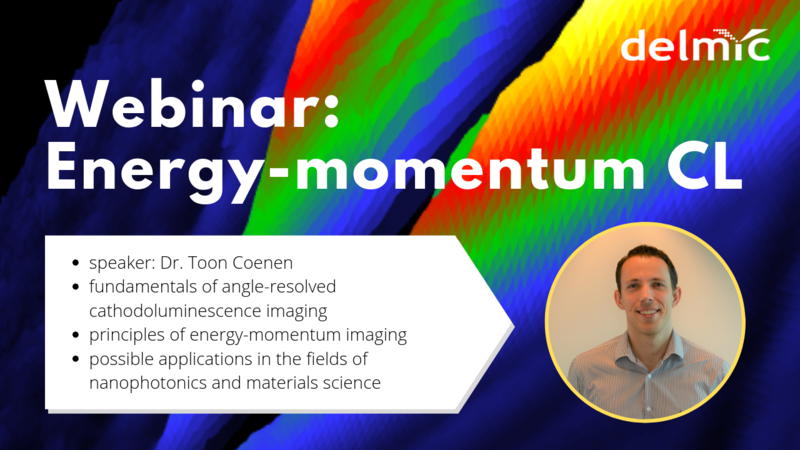 We are excited to announce that we are preparing the first webinar dedicated to spectrally and angle-resolved cathodoluminescence, an imaging technique also known as lens-scanning energy-momentum (LSEK) cathodoluminescence. This unique technique allows acquiring hybrid multidimensional high-resolution angle-resolved hyperspectral datasets. To put it simply, it uses the principle of angle-resolved imaging but allows users to acquire high resolution datasets both in angle and wavelength, for any given location on the sample. The data gained with energy-momentum cathodoluminescence can be particularly beneficial in the fields of nanophotonics and materials science. Register for the webinar below. Even if you won't be able to attend, you will receive a post-webinar recording.